As technology progresses, the cost of quality is becoming more affordable. 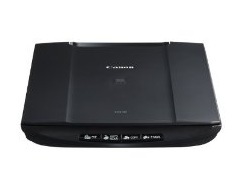 The Canon CanoScan LiDE120 image scanner is a great way to go high-tech on a budget. 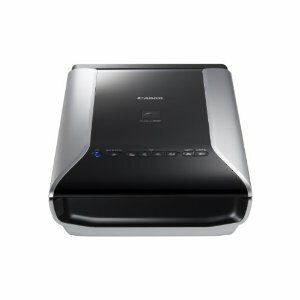 This inexpensive flatbed scanner is designed for a wide range of uses, easily scanning everything from business cards to full-sized documents. The CanoScan LiDE120 is also compact, perfect for travel and trendy standing desks. This image scanner has a few nice features worth mentioning. First of all, it’s exceptionally compact. The Canon CanoScan LiDE120 weighs in at less than 4 pounds, and is less than 2 inches high when closed. 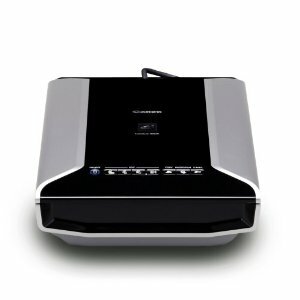 Its Z-lid expands generously for scanning books and thick documents, however this scanner can not be turned on its side for upright scanning like its cousin the LiDE210. The 4 “EZ Buttons” on the CanoScan LiDE120 speed up the scanning process, allowing you to create copies, PDFs or email attachments at the push of a button. Since it gets power directly through the USB transfer cord, this photo scanner also saves power without adding to the messy tangle of cords under your desk. Despite its small size, the CanoScan LiDE120 scanner has a brilliant color spectrum. It’s capable of producing more than 281 trillion colors, with a 2400×4800 maximum color resolution and 48-bit color depth. The Auto Document Fix feature keeps your non-photo scans readable, adding contrast for sharp edges and clear text. The Auto Scan Mode also makes it easy to scan in anything from a business card to a high-resolution photo, and automatically detects the difference. Scans are cropped to the appropriate size and saved in the proper format with the press of a single button. The Canon CanoScan LiDE120’s biggest drawback is simply that it doesn’t match up to its higher-dpi competitors. It has nice color payoff for its resolution range, but higher-resolution scanners produce higher-quality photos, period. This budget scanner also doesn’t feature any of the photo retouching capabilities of higher-end models. You’ll need to use photo editing software such as Photoshop to correct red eye and other photo imperfections. 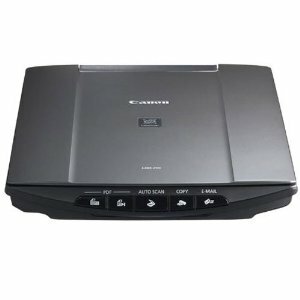 You’ll still wind up with nice photo results, but this scanner won’t do the extra work that pricier photo scanners do. On the other hand, this little guy can do something its competitors can’t – travel. If you find yourself needing to scan and print documents on the go, this might be one of your better options for a portable photo scanner. Students can scan textbook pages without borrowing library books to bring home while business travelers can easily scan in important documents on the road. It’s not as small as a portable scanner but this canon scanner can still fit into your laptop bag without adding extra bulk. The CanoScan LiDE120 is a bestselling scanner, but only you can decide if it is the best flatbed scanner for you. For everyday use, travel, and small spaces, this will definitely give you a lot of bang for your buck. Professional photographers and other high-resolution junkies may want to look to look at Canon’s higher end offerings instead.